The Cannon, Houston’s 17 acre entrepreneurial campus, is open and already buzzing with business. Initially scheduled to open in early October, The Cannon, like the rest of Houston, was forced to pivot when faced with the city-wide destruction in Harvey’s wake. The Cannon took one look at the situation and asked, “How can we help?” The answer was quite simple: The Cannon opened its doors early and offered discounted services to those affected by the storm. Companies left stranded now had a new home to lick their wounds and regain their lost momentum. 70 days and 32 companies later, The Cannon hosted its official launch party November 2. Dubbed Founders Festival, the night saw hundreds of Houstonians from every corner of the city gather to explore the new space. Party goers enjoyed presentations from member companies Alice, Croozin, 900 lbs of Creative, and Dear Duck, while sampling from local Houston eateries Peli Peli, Ramen Tatsu-ya, Tasting Room, Aces of Taste, and Dolce Neve Gelato. All proceeds from the tickets sold for that night’s event went to Casa de Esparanza, benefiting their Hurricane Harvey relief fund. Since the launch, The Cannon has been growing daily and is now home to nearly 100 online community members and dozens of entrepreneurs, joining their already impressive roster of in-house companies. 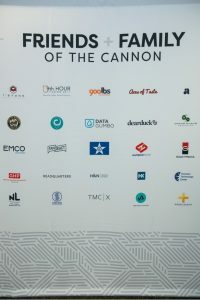 The Cannon members span a diverse range of industries, including Oil and Gas, Energy, eSports, Film Production, Print and Digital Media, Transportation, FinTech, Commercial Cleaning, Drone, Food Services Education, Logistics, Real Estate, and Virtual and Augmented Reality, providing a diverse ecosystem in which companies can bounce ideas, fuel each other’s growth, and drive creative processes. 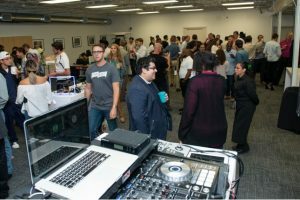 The campus hosts events and classes, connects its members with industry experts, and fosters a collaborative ecosystem for entrepreneurs, freelancers, business professionals, and creative types of all kinds. Members enjoy 24/7 access to the Cannon’s current space, dubbed the Waiting Room, a 20,000 square foot area complete with two kitchens, showers, a lounge w/Ping-Pong and TV’s, a host of conference rooms and private offices, and multiple large co-working rooms. Why the Waiting Room? The answer is the most exciting part about The Cannon. The Waiting Room is only the first coworking space on The Cannon campus. Breaking ground in January 2018, The Cannon is building a massive, 119,000 square foot campus to serve as the hub for Houston’s creative and entrepreneurial community. 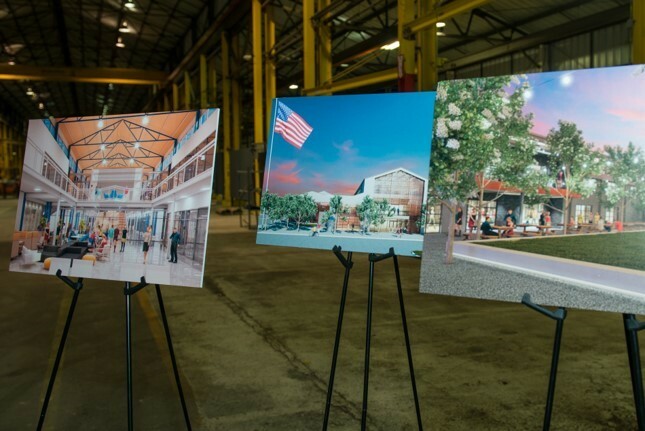 Complete with a luxury movie theater, library, world-class event space, themed conference rooms, exercise facilities, yoga studio, juice bar, and more, The Cannon’s new building will bring together a diverse business community and provide opportunities for companies to raise capital, participate in an accelerator program, and attract top talent. 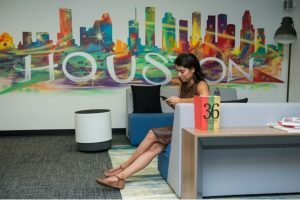 Members who join the Waiting Room will enjoy priority status in the new space, which aims to make Houston the global hub of entrepreneurial growth and innovation. The Cannon is located at 1336 Brittmoore Road in the heart of Houston’s energy corridor and can be found online at www.thecannonhouston.com.